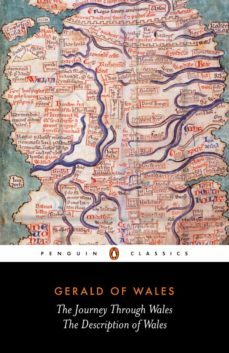 Scholar, churchman, diplomat and theologian, Gerald of Wales was one of the most fascinating figures of the Middle Ages and The Journey Through Wales describes his eventful tour of the country as a missionary in 1188. In a style reminiscent of a diary, Gerald records the day-to-day events of the mission, alongside lively accounts of local miracles, folklore and religious relics such as Saint Patricks Horn, and eloquent descriptions of natural scenery that includes the rugged promontory of St Davids and the vast snow-covered panoramas of Snowdonia. The landscape is evoked in further detail in The Description, which chronicles the everyday lives of the Welsh people with skill and affection. Witty and gently humorous throughout, these works provide a unique view into the medieval world.